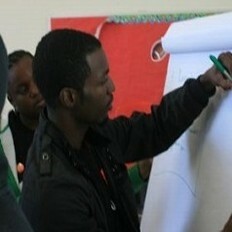 Media arts and journalism doesn't have to be a job, for us it is an excuse. An excuse to go to new places, meet new people, and investigate anything we find interesting. The Media Aid Center is a community media and technology resource providing training and support for youths and adults to exercise their digital freedoms. Since 1996 The Media Aid Center and its volunteers have provided Los Angeles area youths with free training in media and technology, nonprofit organizations with free media services, and providing an impactful way for youth leaders to engage the community. The 2014-15 school year has started with a bang. Both Foshay Learning Center and Augustus Hawkins high school have partnered their new journalism classes with the Media Aid Center to provide online, podcasting, video, and print distribution technologies. Training and production supervision will be provided by Media Aid Center staff in the creation of a school and community media portal. 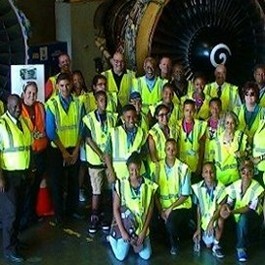 Sounds like a movie title, but no it’s a groundbreaking new national effort by minority airline pilots to interest young children in careers in the flight and aeronautics industries. The four-week program was hosted by United Parcel Service at their air transport hub at the Ontario international Airport. “Things change” for years the Media Aid Center has built television studios on high school campuses and run afterschool programs in media. We built three locations like that. But once the program was established we would ask the school to assign an instructor, and we would hand over the program moved to another school and start all over again.